Once Upon a Twilight! 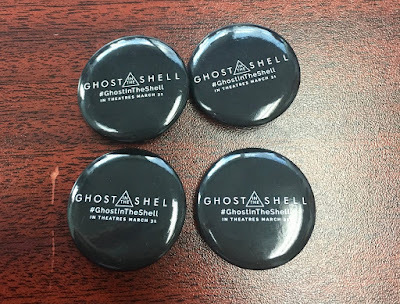 : Win Collectible #GhostInTheShell Buttons! Did you watch GHOST IN THE SHELL in theaters? Tells us your favorite moment/part for a chance to win these pins. I just love Scarlett Johansson. I watch anything that she is in. I haven't seen the movie yet but it looks good!